It was clean, safe, and great location. Italian cafe great in the courtyard and middle eastern cafe cheap and excellent too. Old beautiful pub right there too. Very spacious and airy apartment. Two baths were a bonus. The property was at walking distance to restaurants, grocery stores and most importantly, to London Bridge. 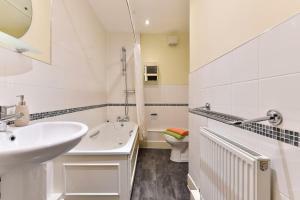 The bathroom was clean and modern, also supplied with hair blower, toilet paper and towels. Kitchen is pretty, IKEA style. I like the entrance of the block! Very nice with this water bassins. Was a great location. Comfortable, secure apartment. Much better than the typical hotel room. I travel a lot to London for work and keep coming back to the same agency. The apartment itself is good, and location central. What really does it for me is excellent customer service, esp. Ilona and Maja. Very helpful and going out of their way to ensure a smooth stay. The localisation is perfect. We can join tower bridge by foot in 20minutes, 1h of B.palace..near the thimes. Easy drops the keys... well journey! 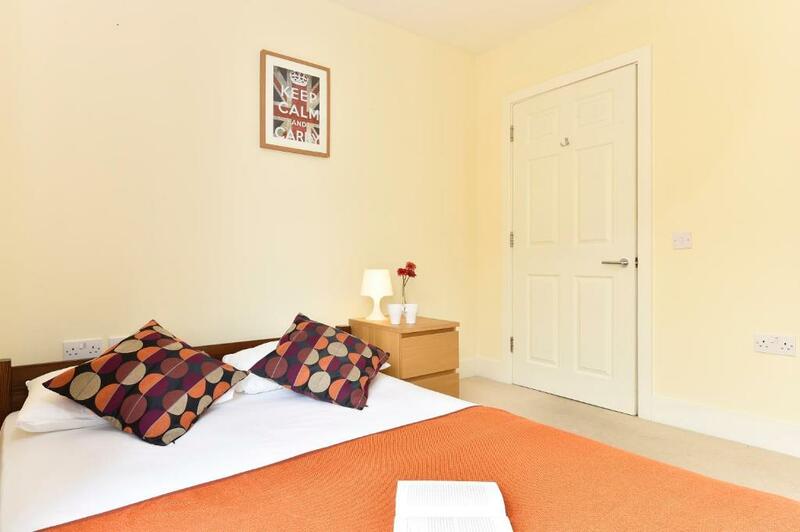 London Bridge Apartments This rating is a reflection of how the property compares to the industry standard when it comes to price, facilities and services available. It's based on a self-evaluation by the property. Use this rating to help choose your stay! One of our top picks in London.Just 15 minutes’ walk from London Bridge, these stylish and modern London apartments feature a spacious living area with a flat-screen TV. Each bright, airy apartment also has free Wi-Fi. 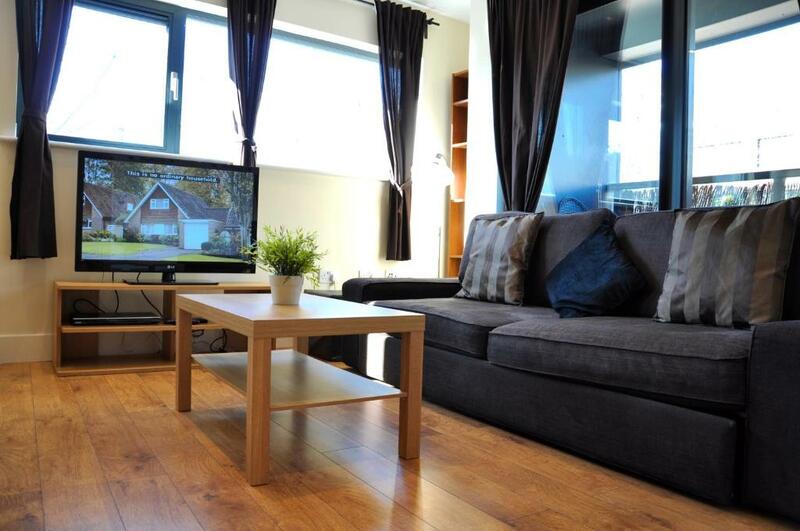 Living areas in the London Bridge Apartments have modern wooden floors and a coffee table. 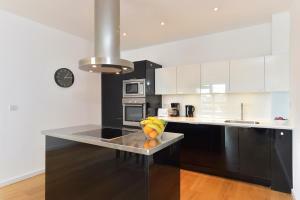 Each fitted kitchen features stainless steel appliances, including an oven with hob for cooking. Kitchens also provide cutlery and kitchenware, while guests can make use of the microwave, dishwasher, or washing machine. 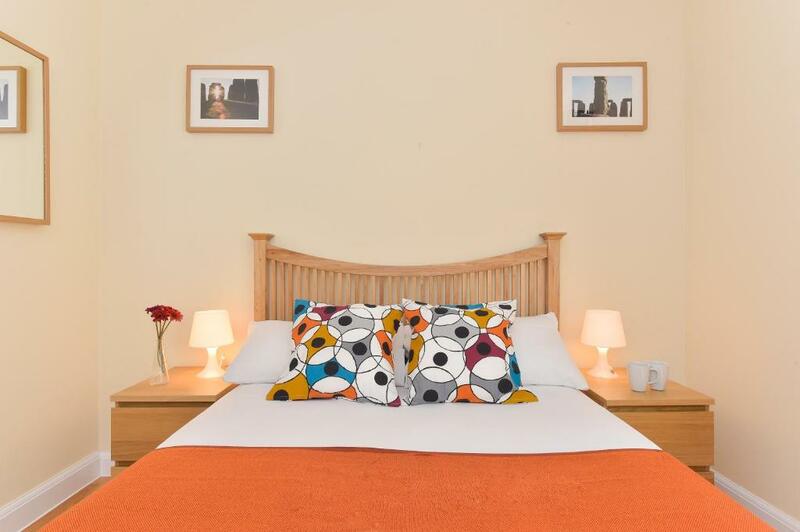 London Bridge Station and the London Dungeon are just 10 minutes’ walk away, while Elephant and Castle Rail and Underground Station is 20 minutes away by foot. The London Eye and Waterloo Station are 30 minutes' walk away or 15 minutes by public transport. 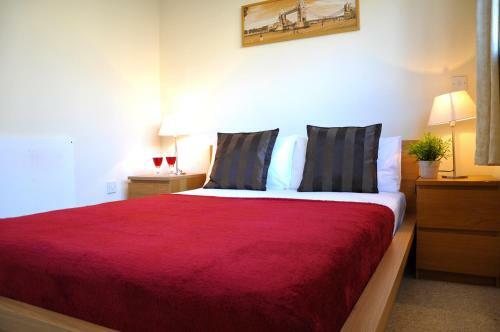 When would you like to stay at London Bridge Apartments? 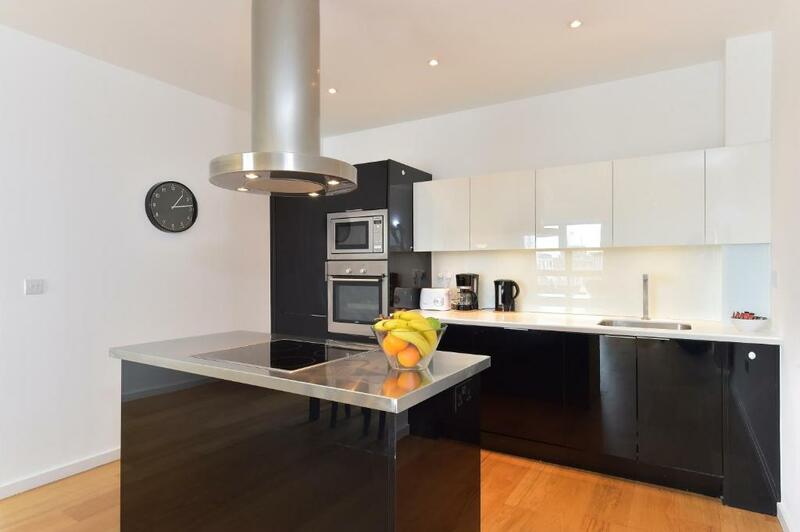 A full kitchen, flat-screen TV and a sitting area are featured in this spacious apartment. Located within 10 minutes’ walk from Tower Hill tube station, on the north side of the River Thames, across from Tower Bridge, this apartment has 2 double bedrooms and a sofa bed in the living room. 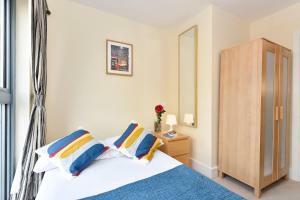 Check-in for this property is at Unit 13, 1-13 Adler Street, London, E1 1EG. Area Info – This neighborhood is a great choice for travelers interested in city walks, tourist attractions and monuments – Check location Great location - show map Guests loved walking around the neighborhood! House Rules London Bridge Apartments takes special requests – add in the next step! A GBP150 damage deposit is required 0 days before arrival (about USD194.33). This deposit will be fully refunded 0 days after check-out, as long as there isn't any damage to the property. All children under 2 years are charged GBP 20 per stay in a crib. London Bridge Apartments accepts these cards and reserves the right to temporarily hold an amount prior to arrival. Properties may be located within a 20 minute walk from the advertised area. Please inform London Bridge Apartments of your expected arrival time in advance. You can use the Special Requests box when booking, or contact the property directly using the contact details in your confirmation. A damage deposit of GBP 150 is required. That's about 194.33USD. You should be reimbursed on check-out. HORRIBLE HORRIBLE HORRIBLE experience. AVOID in any case. This was last minute booking and we didn't get any chance to read the reviews before we book the hotel. We were traveling with a toddler and an infant and even had requested for infant cot through booking.com. However, when arrived at the property, we were taken back to see that the property was not baby friendly at all. It didn't had any lift to go to the apartment on the first floor. The stairs were so narrow that It couldn't fit the baby pram. We had to take baby out of the pram, fold the pram and then make multiple trips up and down so that we all could go to the apartment. This completely ruined our holidays as we had to do this circus every time we went out and come back. When called to the customer service, they didn't even bother to make an attempt to check any other available properties so that we could move to it. Our request for baby cot was never reached to them. Shame on you booking.com, that you still list this hotel as "very good" and not "poor". Very nosy if the apartment is in the city! The fire alarm is disconnected, the bathroom is old and not so clean but it is not the most important ! The patio doors to the balcony were broken....not to be used and duct taped shut....the weather was poor and door wasn't sealed....cold draft and noisy. No cafitiere. Absoltutely no extras meaning any condiments at all or even paper towels or tissues in the apartment, toiletries etc. hot water ran out after 2 short showers and there were 6 of us staying in the apartment so meant not everyone could take showers. Still wasn’t warm after an hour! Great location Friendly helpful staff at check in. We were on the fourth floor and the lift wasn't working. We made several calls to management where we were told service calls were made but no one came. We had to carry our luggage up and down four flights of stairs. The apartment was really let down by the two shower rooms. The ensuite was really smelly and we discovered on our second day that this was because the toilet was leaking across the floor. It was fixed the same evening but the bathroom just still didn’t feel / smell clean. There was also no hooks for towels or anywhere for shampoo / toiletries. The downstairs shower room had a broken shower that didn’t stay up and the broken tiles by the shower area were just dangerous. The whole shower cubicle arrangement was just odd in its design. The chairs in the dining room were also scruffy and could do with replacing. A double duvet instead of two singles would also have been better. The apartment had plenty of room for us all and the kitchen was well equipped. The layout was a little odd with most of the facilities being at basement level and only one bedroom on the ground floor. The tea bags and coffee etc were a nice touch. It was very handy to be right opposite the Co-op shop and a reasonable distance to Southwark station with step free access. The TV worked fine and there were plenty of (very small bath!) towels and bedding.